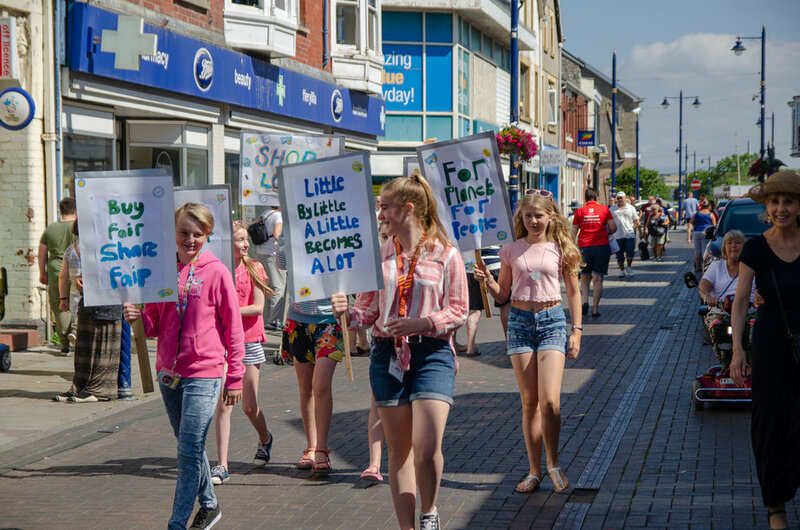 On the hottest day of the year this summer a number of young girls and a former student from Porthcawl Comprehensive took part in the production of a colourful short film aimed at encouraging volunteering. 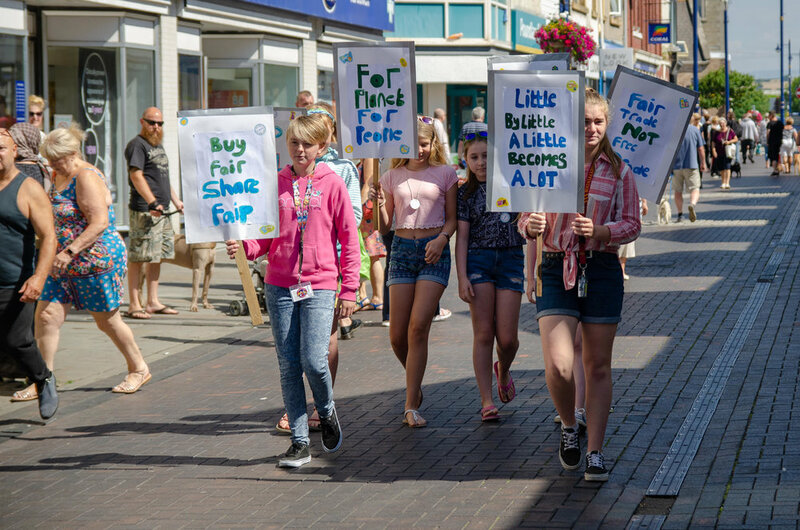 The film ‘Every Little Thing’ supports the Fairtrade movement and particularly ethical retailer SUSSED. (Welsh version at end of post). Please share this film widely and contact us if you wish to use in schools. SUSSED is here to support people to make ethical and environmental choices when they shop, helping use spending power to change the world for the better, whilst redefining values of trade-justice and fairness, environmental protection and as such offering an important additional way to exert influence. Shopping local and ethical spending has continued to grow in the UK at the same time as conventional market counterparts have faltered. 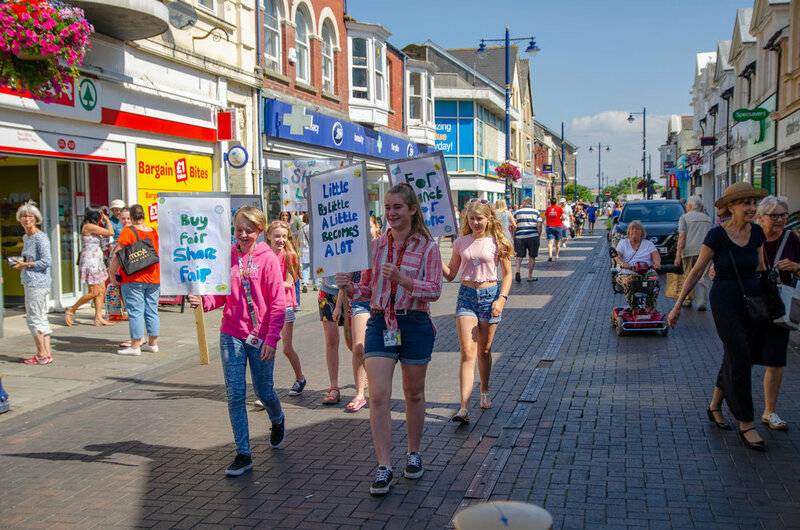 The enterprise also adds to the range of independent shops in Porthcawl - vital to maintain a diverse, interesting high street and strengthen the local economy whilst offering a ‘hub’ for community activity. However, according to `’The Ethical Consumer Report 2017’ shopping locally has grown by 5.4% nationally.Overall, the value of UK ethical spending grew by 3.2% to £81.3 billion, its highest total so far with spending shown to be strengthening at the same time as many of its conventional market counterparts have faltered. Some of the film funding came from BAVO (Bridgend Association for Voluntary Organisations). The grant was to specifically encourage volunteering. Mrs Allison Felton, had assisted the students, to develop a script during break times last term. Funding: BAVO (Bridgend Association Voluntary Organisations) and Sustainable Wales. EXTRAS : Isobel Comley, Libby Geddes, Ella Hunt, Amy Thomson + Manchester Uni Fashion student Isobel Overton. Sgript fideo Lowri Powis & Shauna Gamble Cyfarwydd Cymru Gynaliadwy Ffilmio & Golygu Park6 Productions Cefnogwyd gan Bridgend Association of Voluntary Organisations & Cymru Gynaliadwy Short film showing the difference fairtrade can make, even if it's only the little things at first. 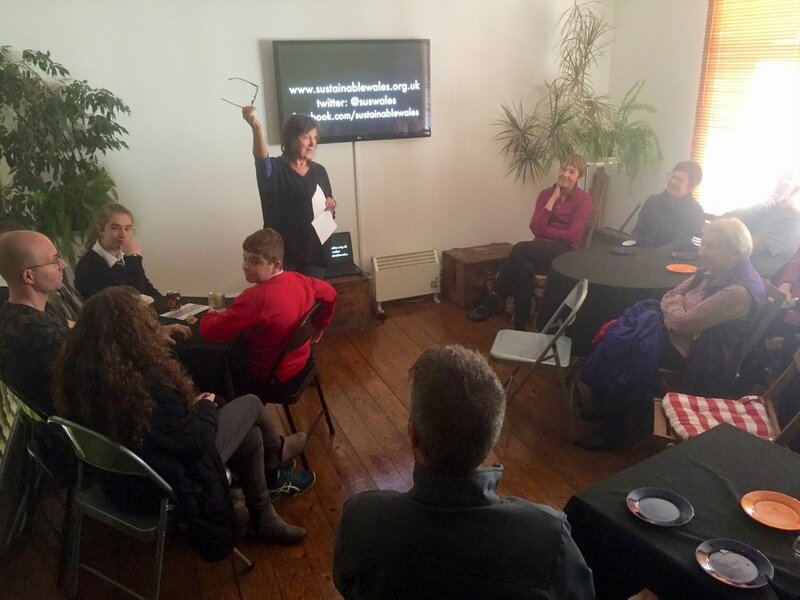 South mid-Wales Fair Trade Nation focus group meeting Cardiff Tuesday 24 July 5.30pm-6.30pm, short walk from Cardiff Central Station at the Shree Kutchi Leva Patel Samaj, Community Centre, Mardy St, CF11 6QT Cardiff. Y Deml Heddwch, Parc Cathays, Caerdydd, CF10 3AP. Bridgend’s Fairtrade Festival, Carnegie House, Wyndham Street, Bridgend on Saturday 10th March from 10 a.m. to 2p.m. African Guests Showcase their Crafts. Mystery Judge for ‘Bake-Off’. 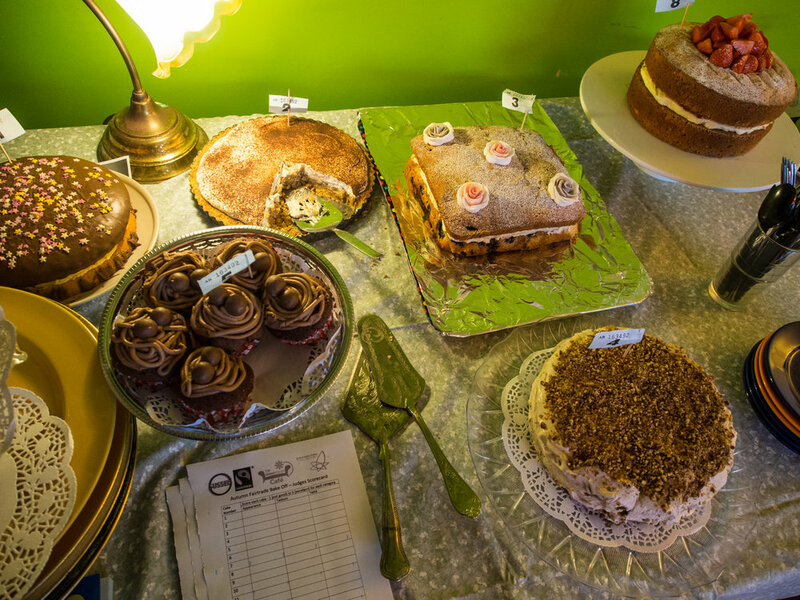 Saturday shoppers are also asked to come on in, taste the cakes , have a coffee and help judge! 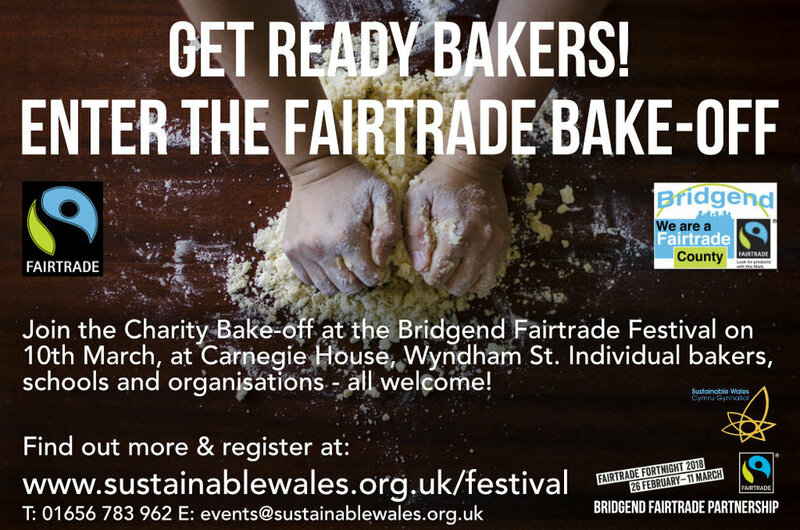 The ‘Fairtrade Bake-Off’ is part of this year’s Bridgend Fairtrade Festival now in its second year. 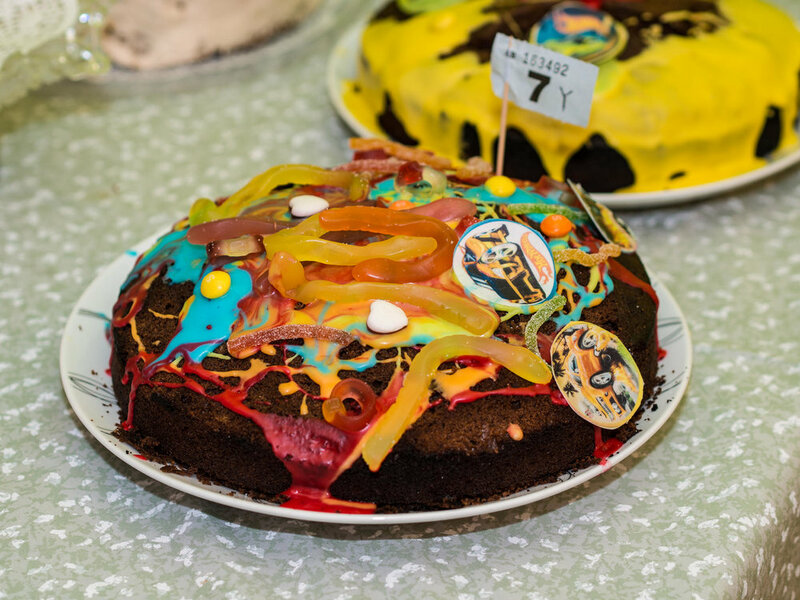 “The Bake-Off is an exciting opportunity for bakers of all ages to get involved and help promote fairtrade. So pop on your pinny’s and get baking”. said one of the organisers, Bridgend Fairtrade Partnership. Margaret Minhinnick. 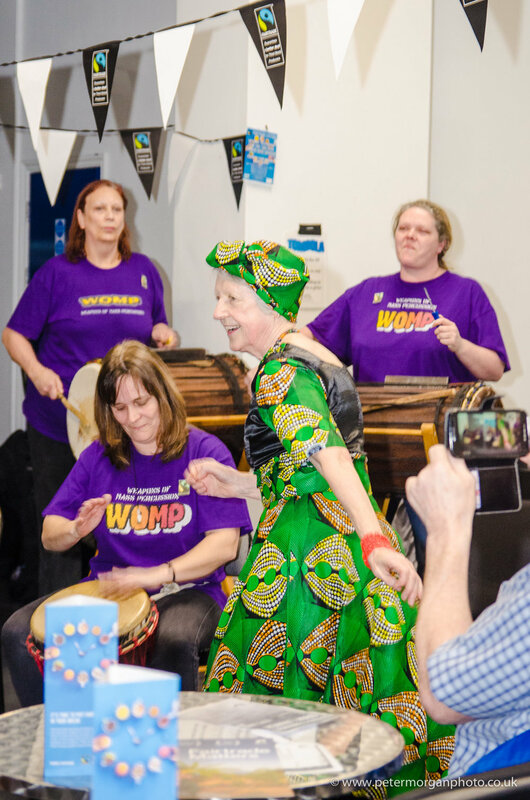 Margaret explained, “On the day, the cake-bakers simply bring their cake along (made with as many Fairtrade ingredients as you are able) to Carnegie House. It will be open from 9.30 a.m. Judging will take place from 10.15 (There will be prizes for best under 15 and best over 15 entry)”. 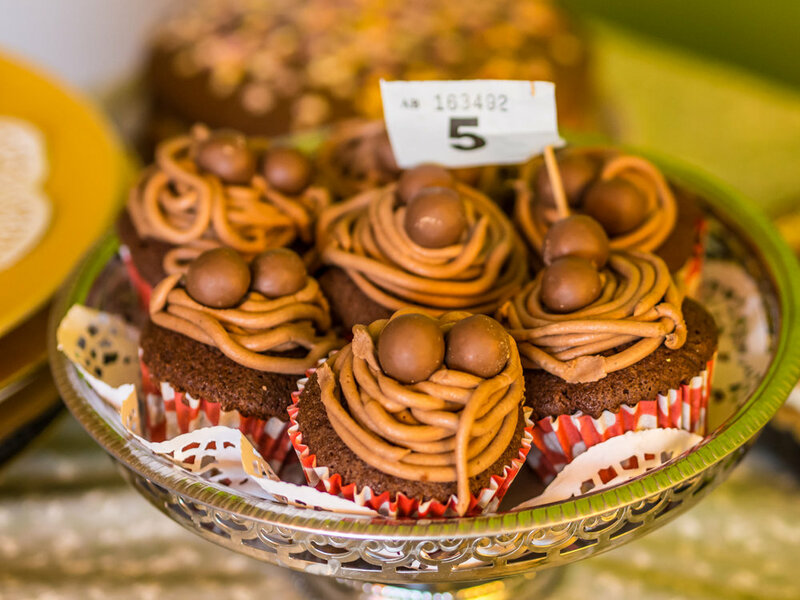 The cakes/goodies will be used for refreshments at the fairtrade coffee bar and the public will also be invited to vote for the ‘public’s choice’ for an additional prize. 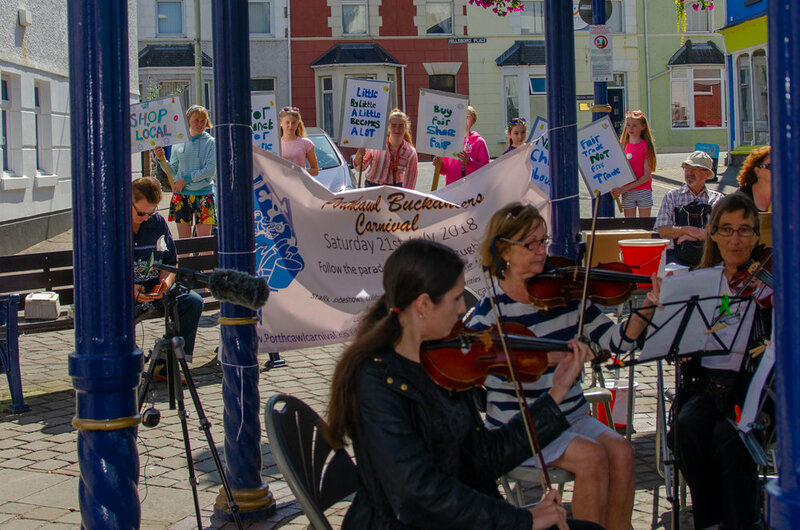 Donations welcome to Porthcawl based charity Sustainable Wales. Hellen Nkuraiya from Narok, Kenya. Hellen’s personal experiences have led her to a life of taking stands against child marriage, female genital mutilation, fighting for education for girls, rights for widows and an end to the subservience of women in her community. Now Hellen runs Enkiteng Lepa School, and Tepesua Nursery School. These schools were established in 2004 to provide a safe haven for girls escaping traditional cultural practices, including FGM (female genital mutilation). Hellen works with the whole community to create alternative rights of passage for young Maasai girls. As well as founding the schools, Hellen also supports 15 Maasai widows and is working with them to develop income generation and livelihood projects. Meseret Yirga from the Adugna Dance Company in Ethiopia. Adanech Admassu one of Ethiopia’s first recognised female film directors, part of Gem TV. Gem TV have developed a unique filmmaking style in Ethiopia by which communities themselves are involved in writing their story and acting in the films. 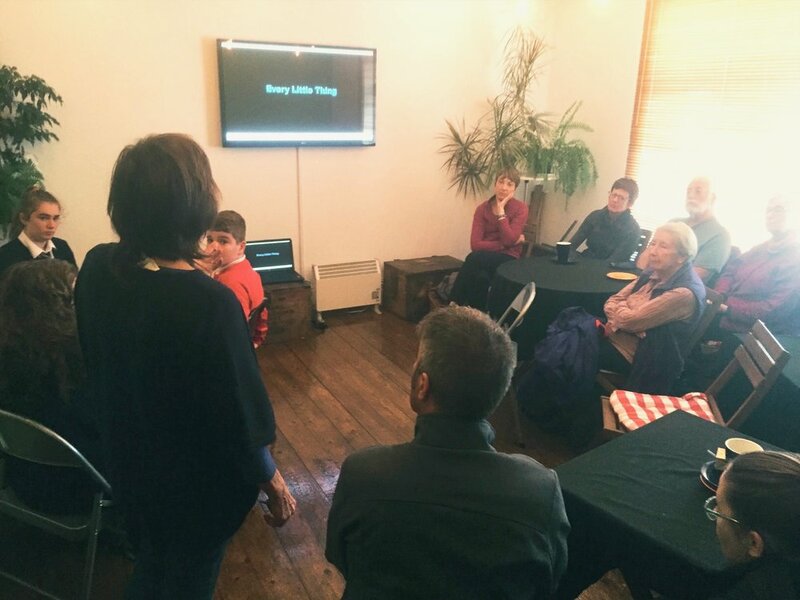 These films clearly resonate with communities and are shown as “videos on wheels” all over the country, where they inform, educate and inspire discussion. GemTV makes films on a range of social issues: HIV/AIDS, early marriage, education, human rights and the role of women. Adi, was awarded the One World Media Award in 2012 for her films’ contributions to empowering the voiceless in society. She directed Stolen Childhood about early marriage in Ethiopia. 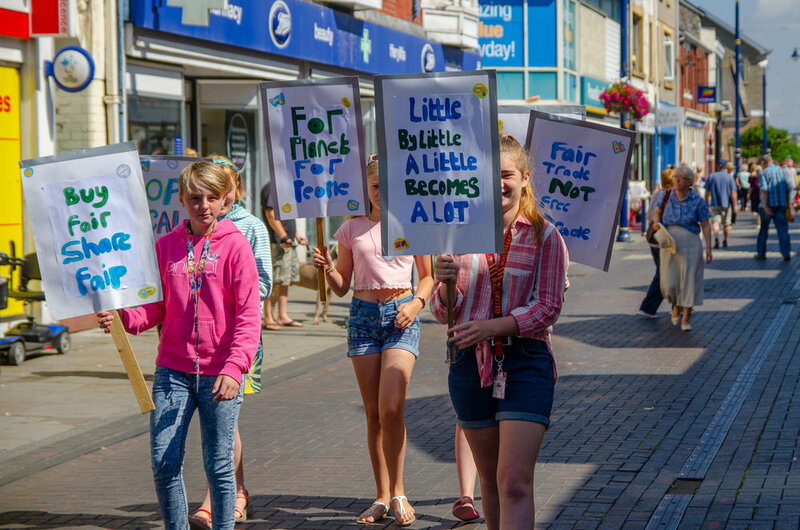 82% of our local authorities have achieved Fairtrade status. 93% of our universities have achieved Fairtrade status. 20% of UK schools that have been awarded Fairtrade Status are based in Wales, despite welsh schools only representing 6.7% of the total number of UK schools. Winners of the Fair Trade Bake Off! Local bakers grabbed their aprons and baked a cornucopia of fair trade cakes at the Bridgend Fairtrade Festival. Bridgend County Fairtrade Partnership Fairtrade Festival ‘Bake-Off’ winners. Event held at Carnegie House, Wyndham Street, Bridgend on Saturday 18th March. First prize: Ann Lewis with a decidedly Welsh-looking Spicy Fruit Cake with Mocha Icing. Second prize: Liz Worthington with a delicious intensely Orange Gluten-Free Cake. 1st Prize: Juliet gardner with a clever heart-shaped Fair-trade logo-designed Dark Chocolate & Coffee Cake. Second prize: was 3+3/4 years-old Ffion Bourke with a Chocolate Henry the Hedgehog Cake. The mouth watering event raised around £360. Thanks go to all those fantastic cooks who donated their cakes to the charity. Sponsorship for the prizes was gratefully received and provided by Fairtrade Wales. 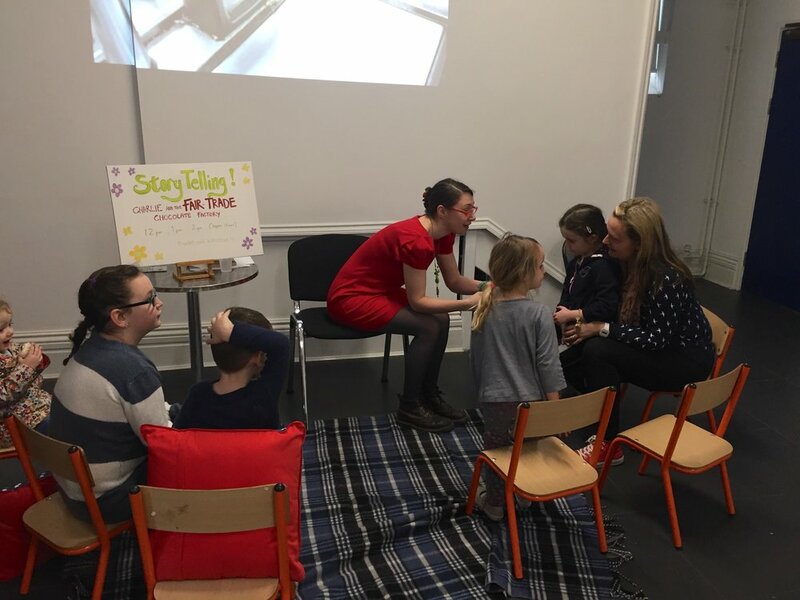 Also we are delighted that bake-off winner Mack has agreed to be one of the bakers for the ‘pop’ up Green Room Cafe (above SUSSED) which will open every third Saturday of the month 10.30am - 4pm. We will be serving homemade cakes, soups, snacks and savouries. YOUNGSTERS CALL FOR FAIR FOOTBALL! The Beautiful Game is only beautiful if there’s fair play all round. L-R Jack Jones age 7, Samuel Johnson age 3 Lily Jones age 4, and Oliver Johnson age 7, celebrate Welsh Euro success with a fair trade football! SUSTAINABLE WALES Youngest Volunteers celebrate Wales’s Euro success by kicking around a fair-trade football by Bala Sport. Football is the world’s most popular game, it unites people around the world. Yet almost half of the world’s footballs are hand-stitched in Sialkot, Pakistan. Around 40,000 people work in Sialkot’s football making industry, producing tens of millions of footballs annually for multinational companies such as Adidas – providers of the Euro 2016’s official footballs. Whilst making footballs drives the economy of Sialkot, the industry has a history of poor working conditions and low pay. Pakistan’s football makers are forgotten across the supply chain, living in poverty. 70% of the world’s footballs are made in Sialkot. Annually 40 million balls produced, with 60 million in a world cup year. In a sport where top players earn millions annually, there is a responsibility to protect workers receiving low pay. Bala Sport is the UK's number one source for Fairtrade certified footballs. Fairtrade guarantees that workers are paid a fair wage, benefit from fair working conditions. A Fairtrade premium is used for projects that include free healthcare. One of Bala’s fairtrade footballs was kicked about by Lily, Jack, Oliver and Samuel, in expectation of a Wales Euro semifinal win. Let’s all help bounce fair footballs into the mainstream. George Jabbour, Conservative candidate for Bridgend at the Senedd May 5 election, is the first electoral hopeful to visit Sustainable Wales’s ‘SUSSED’ shop in Porthcawl. 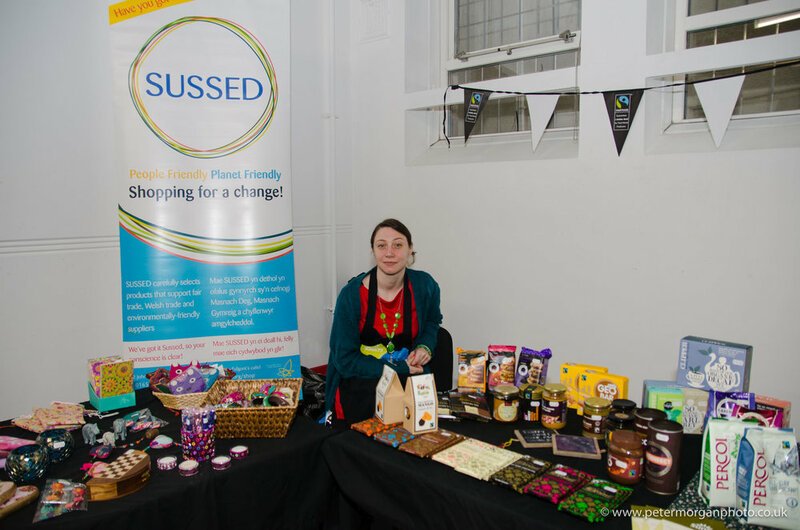 Director, Margaret Minhinnick said: “All candidates, from Green to UKIP, Labour or other parties are urged to visit SUSSED, a community enterprise that specializes in local, organic and fairly traded goods. George Jabbour, who is facing First Minister Carwyn Jones in the election this May, commented “I also attended the Fairtrade Breakfast at Trinity Church in Porthcawl. The breakfast was organised by Porthcawl Fairtrade Town Partnership. The event which took place last Saturday (5th March) morning was very successful with many local people participating”. Jonathan Freedland examines current debates about ethical shopping and production, in the light of early 19th century campaigns to boycott goods which involved slave labour.